"My voice today is so different than when I started singing and the way I am in the world is so different." 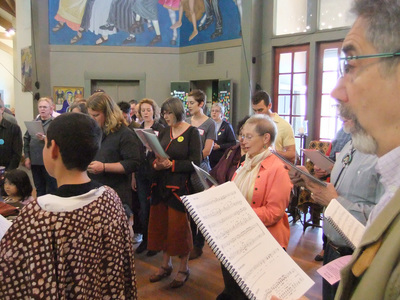 There’s a lot of singing at St. Gregory’s! There is no organ, so our amazing choir serves as the backbone to support the people in a cappella singing. 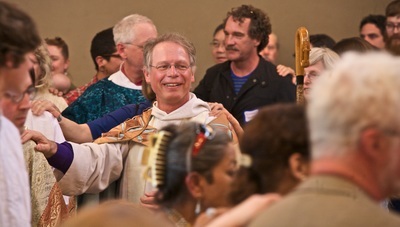 The congregation sings, in four-part harmony, during most of the service: we sing the opening prayers, hymns and canticles between Scripture readings, the Lord’s Prayer, music when we walk up to the altar, Eucharistic prayers, music during communion, and music as we dance. 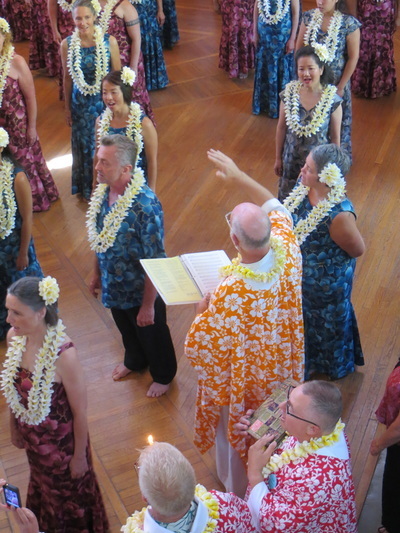 Visitors are struck by how easy it is for first-timers to participate, and how wonderful it is to be part of making such high-quality, beautiful music. Variety of musical style is a hallmark of St. Gregory’s; we intentionally share pieces from an range of eras and styles in every service. 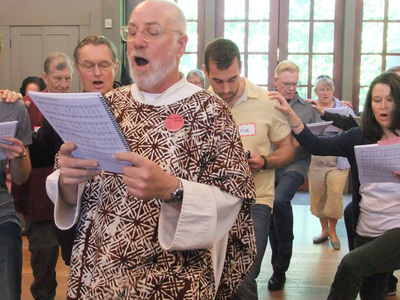 We sing English Renaissance music, Anglican chant, Russian Orthodox hymns, American spirituals, shape-note pieces, South African freedom songs, and contemporary a cappella anthems. Most importantly, we have a tradition of fostering original compositions from members of our community. 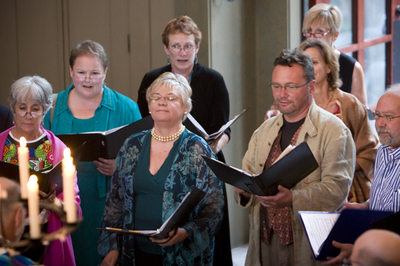 We have several active composers producing new works for congregational singing as well as choir anthems. 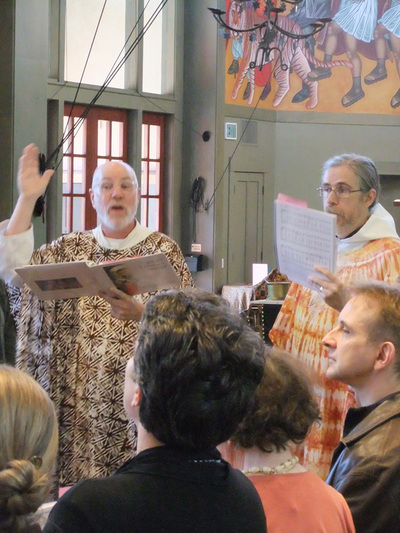 Seventeen original anthems are collected on the choir’s CD, The Harmony of That Motion, and some of our favorite congregational pieces can be heard on Music from St. Gregory's, the companion CD to our songbook, Music for Liturgy. Everyone is welcome to come and sing with our choir. There are no auditions, all skill levels are welcome, and we love to have new members. The only requirement is coming to Thursday night rehearsals, Sunday morning warm-ups, and the 11:00 Sunday liturgy. If you would like to find out more, please get in touch.